This is going to end a lot of games, but at least you have to work for it. 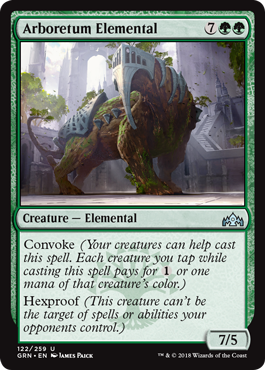 Convoke doesn’t look as good as it was in previous incarnations because there are fewer good token makers, but that doesn’t mean this 9-drop can’t reliably be cast for 6-or-so mana. That’s a good enough deal that I’m sold, and there are some control decks that will have a hell of a time trying to stop this.